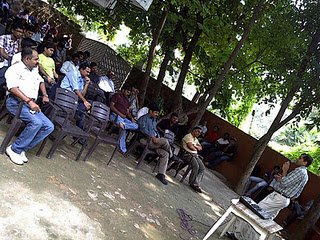 The saturday before last, I was invited to give a small informal talk at Startup Saturday (SS). SS is organized by the Headstart Network Foundation - a non-profit organization focused on creation of a startup ecosystem in India. The following video gives a clear idea about what Startup Saturday is all about. 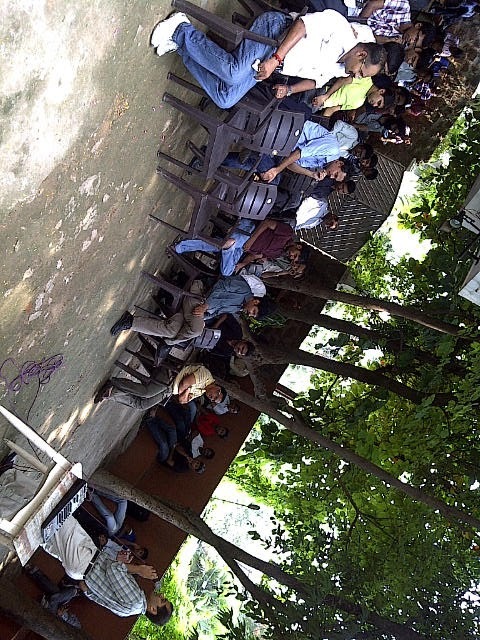 This meeting was held at LaMakaan and there was a very interesting mix of attendees. There were a few students but a lot of attendees were from either those interested in starting up or those having just started up. There were also a couple of reporters of startup related websites. There were some members from angel investor organizations or incubation centers like the IIIT Incubation Center. The theme of the session was registration, compliance & finance for early stage startups. Every month there is a theme and experts are invited to talk about that theme. It started off with each of the attendees giving a short introduction and then there were a couple of sessions given by a Chartered Accountant and a Company Secretary about the theme. The format is quite informal and interactive and there are a lot of questions from the participants. Again the discussion was lively and interesting with a lot of real world examples and experiences. After this it was all about networking and exchanging business cards to continue networking beyond the event. I was asked how the startup environment now is different from how it was 6 years ago and the answer is that it is events like this that make it so much easier to startup now with information so easily available so readily. I would advise anyone who is planning to startup or has just started up to attend this event. I hope more companies that provide services also attend so that startups are aware that there are experts out there to hep them quickly startup. Will there be notification for this every month ? an is it the same place every month ? You can join the google group - https://groups.google.com/group/hydstartups?hl=en. The last few months the venue has been here but it is not a guarantee. Thank you Sudeep for inviting me. It was a refreshing sight to see so many people interested in making it on their own. And the founder Ramesh was a real gentleman to talk to. Btw, your talk was straight, crisp, no nonsense and pleasing to listen to. Good post. I'm subscribing to the mailing list as well. You are in point of fact a just right webmaster. The site loading pace is amazing. It kind of feels that you’re doing any distinctive trick. Moreover, The contents are masterwork. you’ve done a magnificent process on this topic!